What better way to say “I Love You!” then to get it tattooed on your rump!?! 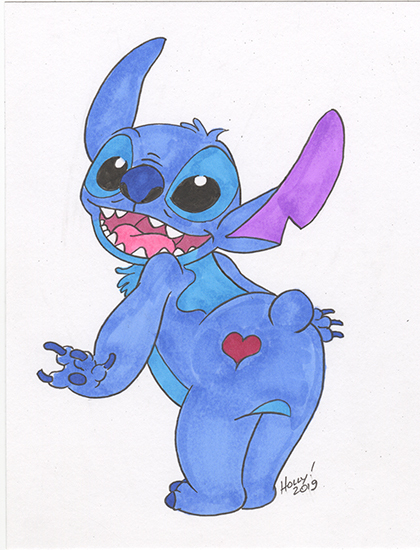 For now it’s adorable, but let’s just hope that Stitch doesn’t regret his decision later in life. You can own this adorable piece done by Holly Golightly, it’s a safer bet than a tattoo!